For this years six-part series, we have decided to devote our attention to the worlds sourcing and production markets for textiles. We will trace the worlds leading textiles fairs, shedding light on the host countries, along with their strengths and weaknesses. 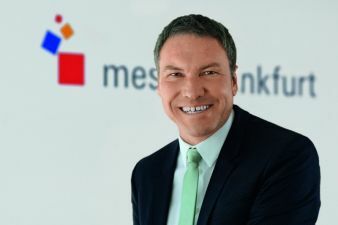 By way of introduction, we spoke to Olaf Schmidt, Vice President Textiles & Textile Technologies at Messe Frankfurt about the strategies pursued by the worlds leading organiser of textiles trade fairs. Olaf Schmidt: 2014 was an extremely successful year for Messe Frankfurt&#146;s portfolio of textiles fairs. 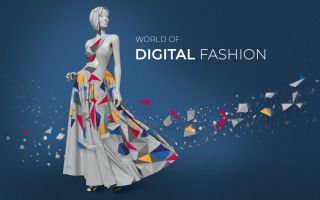 As part of our “Apparel Fabrics & Fashion” division (fabrics, yarns, job production and fashion), the biggest Intertextile Shanghai Apparel Fabrics of all time recently impressed its international audience at its 20th anniversary event. In 2015, we expect to achieve another increase in exhibitors and visitors, thanks not least to the new venue, the “National Exhibition and Convention Center” in Shanghai. Our successful Texworld brand is also performing really well. We&#146;ve now launched Texworld Istanbul to serve the emergent Turkish textiles market. We also anticipate further growth here in 2015. Texworld and Apparel Sourcing in Paris and New York likewise posted increases in both exhibitors and visitors. May 2015 will see the debut event of Leatherworld Middle East which caters for the up-and-coming leather goods market in the Middle East. Olaf Schmidt: We certainly do. In Berlin, we have the Ethical Fashion Show Berlin and the Greenshowroom in the heart of the capital. Our new location at Postbahnhof offers us more space and the opportunity to expand our events there, a strategy we would like to push on with in 2015. 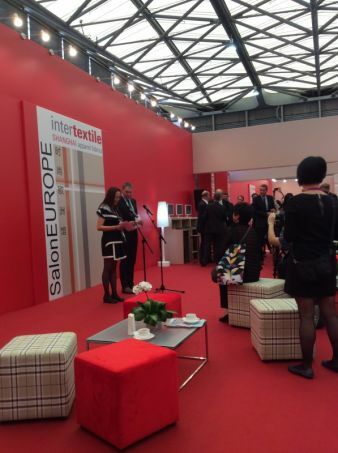 The platforms for interior textile furnishings, which fall within the “Interior & Contract Textiles” division, were extremely successful in 2014. Olaf Schmidt: Our international trade fairs for technicl textiles, nonwovens and the processing of flexible materials, which come within our “Technical Textiles & Textile Processing” division, recorded more visitors and exhibitors in 2014, be it at Cinte Techtextil China, Techtextil Russia, Techtextil North America or Texprocess Americas. A highlight for me personally in 2015 will be the leading Techtextil and Texprocess fairs here in Frankfurt which look set to be a great success. Olaf Schmidt: Sustainability is a focal theme at all of our textiles fairs. In addition to the sustainability-based trade fairs I&#146;ve already mentioned, we generally offer information to promote sustainability in the form of papers, seminars, special presentations, competitions, publications and guided tours, for example, at Texworld Paris or Intertextile Shanghai Apparel Fabrics. At Heimtextil, we&#146;ve devoted plenty of space and attention to this topic, for example, by offering a variety of tours and by creating a Green Village. And then, there&#146;s also our Green Directory, listing exhibitors committed to sustainable production. At the conferences we co-organise, we like to shed light on sustainability, as we did, for example, at the "Planet Textiles" conference in Shanghai. In our role as an organiser of internationally leading trade fairs, it is our objective to strengthen the market for green textiles whilst acting as a source of guidance and inspiration. After all, we firmly believe that the future lies with sustainable textiles. Olaf Schmidt: We see South America as a very attractive market for the textiles and apparel industry. Brazil, for example, is the biggest denim and third largest knitted goods producer in the world. As the world&#146;s biggest manufacturer of “alpaca” and “vicuna”, Peru supplies many leading fashion brands. Similarly, textiles and clothing makers see Columbia as an extremely interesting sales market. 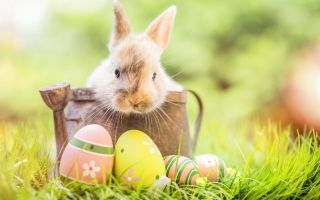 If the continent opens up to more foreign investment, the textiles and clothing industry would hugely benefit and grow to become more sustainable. Besides Brazil, I would say Argentina is the most vibrant market for textiles and clothing in South America. Messe Frankfurt has had the Argentinian market in its sights for a long time and has a subsidiary out there. The country has a very clear strategy for the future of its textiles and clothing industry. Trade fairs like Emitex, Confemaq and Simatex allow us to offer local and international manufacturers in the textiles and fashion business the ideal backdrop for forging new import- and export-based business contacts. Our plan is to make these trade fairs more international. Olaf Schmidt: We currently see the most potential in countries like Turkey, China, India and South America. Messe Frankfurt has its own subsidiaries in all these countries and is already organising textiles, clothing and textile machinery events there. The economies of these regions are really quite buoyant. Olaf Schmidt: We don&#146;t think that any of our target markets are in a particularly critical state, although some are naturally affected by world events. Our textiles fairs Heimtextil Russia and Techtextil Russia were barely affected by the current crisis in 2014. Our Russian colleagues have not received any cancellations from exhibitors to date. At the same time, it has to be said that Messe Frankfurt is feeling the crisis in the Ukraine. We were unable to run Automechanika Ukraine which was scheduled for 2014 and has been postponed until 2015. We will just have to see how situation develops there. Olaf Schmidt: The global network has become tighter - in two respects: On the one hand, our network of colleagues and partners around the world has become denser, while on the other, communication has become far more intense - both with industry members and our participants. This means that, thanks to the opportunities offered by today&#146;s digital world, we are in contact with each other 365 days of the year, be it by email, video conference or through the diverse social media channels we use. Olaf Schmidt: We had many lengthy dicussions about the new duration of Techtextil and firmly believe that it will improve the event both for exhibitors and visitors. Our decision met with a positive response from almost all our Techtextil exhibitors. Not only that but the combination of Techtextil and Texprocess is unbeatable, even on a global scale. Where else in the world can a fibre producer find out so much information about everything from innovative needle geometries to new knitting technologies and pattern-making systems? Olaf Schmidt: This is why we&#146;ve set ourselves the goal and mission in 2015 to increase the visitor flow between the events. Many of the products offered at Techtextil have open applications. The selection of further processing companies at Techtextil has so far been relatively limited. Texprocess closes the circle of fully integrated production from the fibre to the ready packaged end product. The clothing industry also has some highly innovative joining technologies up its sleeve, which are either completely or relatively unknown to the companies processing technical textiles. 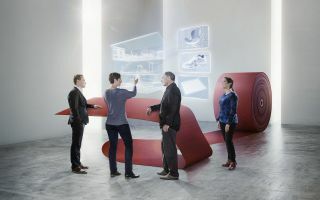 Exhibitors at Techtextil who are looking for ways to process their technical textiles, will find the corresponding technologies at Texprocess. In a move to illustrate quite clearly the synergies between the two fairs, we&#146;re organising the first-ever Innovative Apparel Show. It isn&#146;t a fashion show in the classical sense but an unconventional platform that allows visitors and exhibitors to find inspiration and exchange views. At the same time, we have stepped up our marketing activities to underline the many synergies arising from the two events. We are currently planning further measures so keep an eye out for them. Mr Schmidt, Many thanks for the interview.